London is a tough city to beat when it comes to shopping - with so many shopping destinations it’s hard to know where to start when wanting to splash some cash. On the beauty front (my favourite shopping category) it’s a tough call between mooching around the multiple department stores with their expansive beauty halls – which have really upped their game recently – or sticking with the reliable options of Boots or Superdrug. 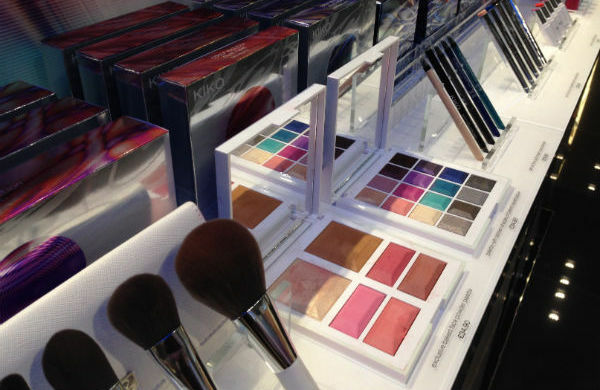 Recently there’s been a few new additions to the London make up offering in the shape of stand-alone brand stores. 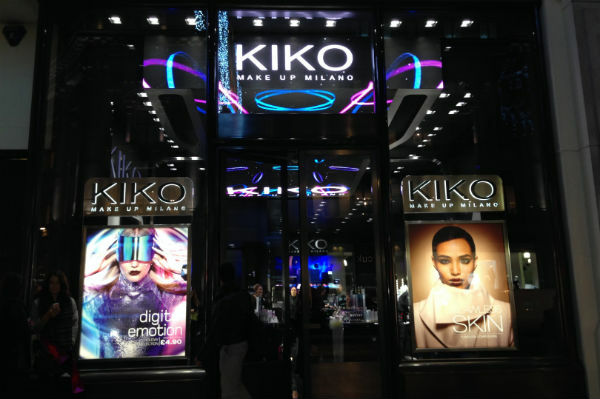 The latest to pop up is KIKO Make Up Milano which recently opened on Regent Street. KIKO Make Up Milano is an Italian professional cosmetics brand that’s been going strong since 1997. In recent years it has made its way across to UK shores and has been steadily growing a pretty strong fan base thanks to its range of affordable but impressive products. The latest proof of how popular KIKO has become is that the brand has secured a spot on the much-coveted Regent Street. While Oxford Street has all the high street favourites, Regent Street offers something a bit special. The whole street is filled with London charm which you can see just by looking up at the amazing buildings lining the street. Even if you’re not a shopping fan it’s worth the walk from the hectic Oxford Circus down Regent Street to the bright lights of Piccadilly Circus. The KIKO store has opened in pride of place at the Oxford Circus end of Regent Street offering not one, but two floors of make-up and beauty goodness to play with, shop and try on! 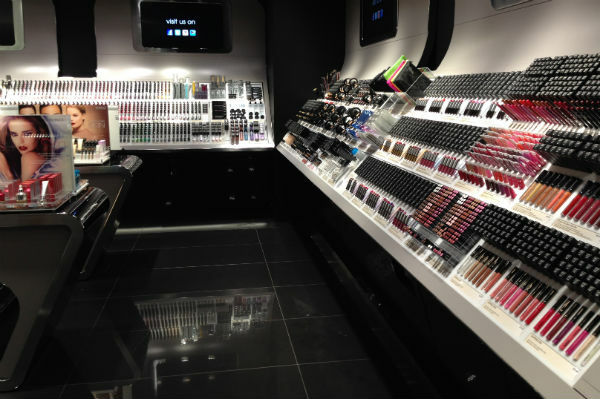 The store offers 135 square meters of make-up heaven with over 1500 different products on sale – of which 600 have been launched in 2013. The upper floor offers the majority of the range on display for testing. On the lower floor there’s the full nail range (a veritable rainbow) plus make-up stations - here you can enjoy some pampering courtesy of the on-hand make-up artists who can do everything from colour match your foundation to give you a dramatic red pout. Having spent some time in the store I’ve picked out a few products that I think are really worth picking up. 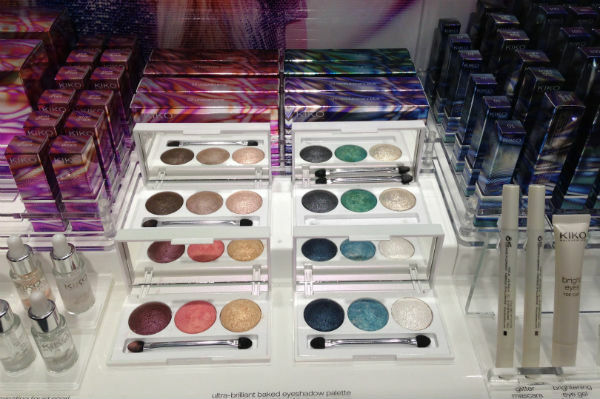 KIKO has some amazing eye products - their Eyetech Look Eye Shadows are really pretty. They’re loose pigment but they’re in a pen that manages to make the usually messy process of loose powder actually really easy to do. My personal favourite is shade 116 – a pretty taupe grey. I also like the Long Lasting Stick Eye Shadow which gives some much higher priced versions a run for their money (I applied and then tried to wipe off with a wet wipe and it would.not.budge). Shade 05 ‘Rosy Brown’ was my pick from these shades – but there’s something in there for everyone whether you love colour or neutrals. There’s also a gorgeous Limited Edition blush and cheek palette from the Digital Emotion collection that’s got some really pretty shades. Oh, and finally – they also do some really great baked face powders that I think are pretty good value dupes of the MAC Mineralise Skinfinish Naturals. 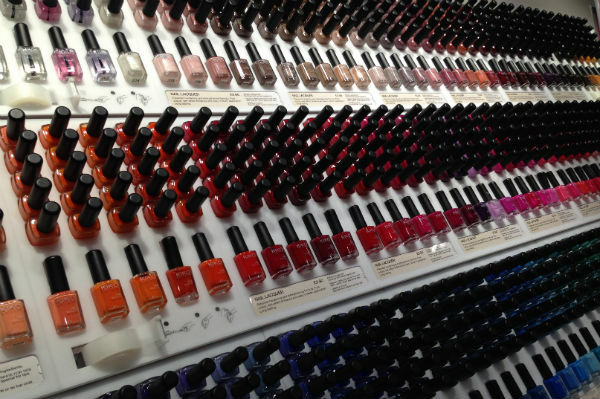 The store is a make-up lover’s dream and well worth a visit, especially when the prices are so reasonable. Most items are around the £5/6 mark on average so you can really pick up a good quality bargain! Jen is the writer behind the London-based beauty blog, A Beauty Junkie in London. The blog was started back in 2009 and is exactly what it says - all about a beauty junkie who can't get enough of all things girly...and lives and works in London. Jen is equally as enthusiastic about many other things in life - including macaroni cheese, her two house rabbits, finding the perfect striped top or pair of ankle boots...and other slightly less shallow pursuits. Jen can also be found on Twitter and Instagram @beautyjunkieldn where she mainly shares insightful tweets or photos about lipgloss or what she had for lunch.